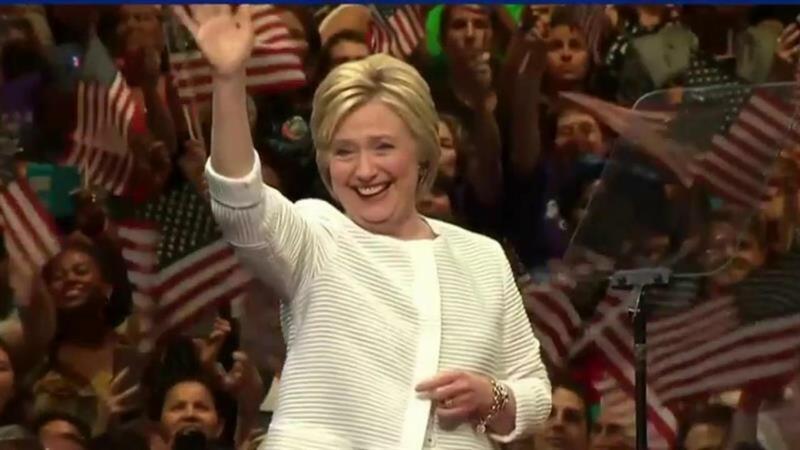 Voters who hold unfavorable views of Hillary Clinton and Donald Trump provided their chief reasons in a new poll released Thursday. In the poll, conducted by Morning Consult, the top reason voters looked negatively upon Clinton was because they believed she was untrustworthy. Nearly half — 47% — of respondents who held an unfavorable opinion of her listed "is not trustworthy" as one of their top two reasons. For Trump, those who disliked him said they believe he is racist. 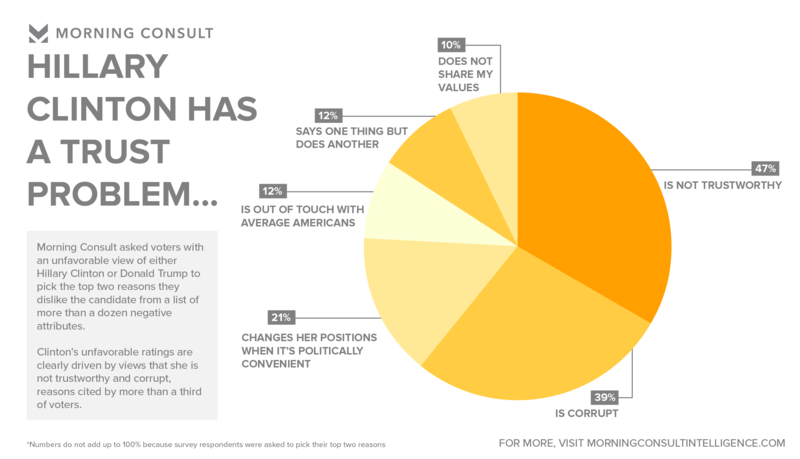 Of respondents who hold a negative view of Trump, 25% offered that reason as one of the top two reasons they view him in negative light. Respondents who disliked either Trump or Clinton were given a list of a dozen possible choices to select from. Clinton's results were concentrated on six responses — each receiving more than 10% of total answers. The second most popular choice for holding an unfavorable view of Clinton was that she "is corrupt." That answer was followed by "changes her positions when it's politically convenient," "is out of touch with average Americans," "says one thing byt does another," and "does not share my values." Respondents who disliked Trump selected a wider-array of choices with greater frequency, as the Manhattan billionaire earned 10 responses that garnered more than 10% of total answers. 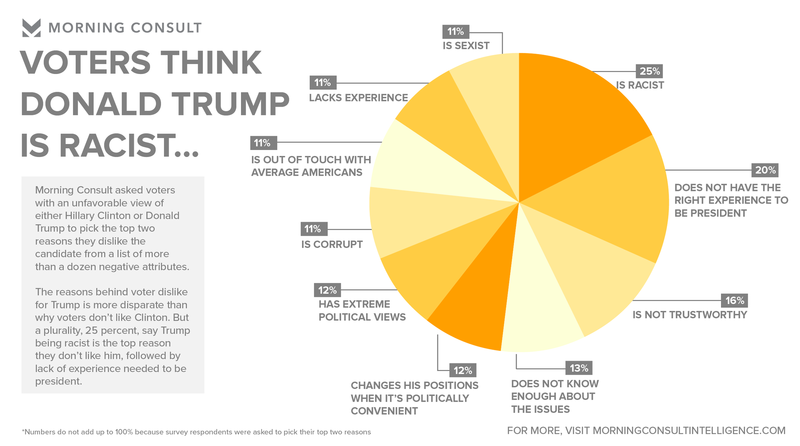 The second most popular choice for why a respondent viewed Trump negatively was because he "does not have the right experience to be president," which was selected by 20% of those surveyed. That was followed by "is not trustworthy," "does not know enough about the issues," "changes his positions when it is politically convenient," "has extreme political views," "is corrupt," "is out of touch with average Americans," "lacks experience," and "is sexist." Morning Consult surveyed 2,001 registered voters for the survey, which was completed between May 27 and May 30.